Dr. Patricia A. Turner was appointed Dean and Vice Provost for UCLA’s Division of Undergraduate Education, effective December 2012. The author of four books and many articles, Professor Turner has a joint faculty appointment between African-American Studies and World Arts and Culture. Her research focuses on racial dynamics as they surface in folklore and popular culture. 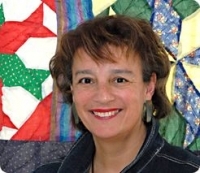 Her most recent book, Crafted Lives: Stories and Studies of African American Quilters, was published in 2009.